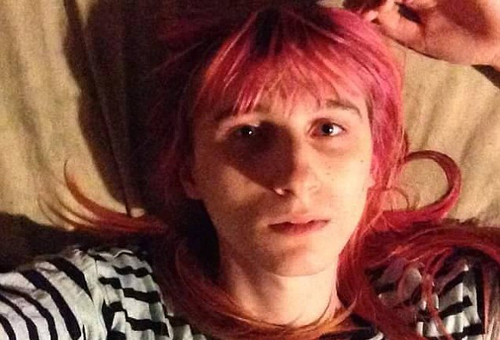 NEW YORK — A popular transgender game developer died by suicide last week by jumping off the George Washington Bridge, just days after internet trolls encouraged her to commit suicide. Two nearby officers tried to stop the young woman, identified as Rachel Bryk, with one officer screaming, “Don’t do it!” to no avail, authorities said. Port Authority officers later saw a body floating in the water but have so far been unable to recover it from the river, reports the New York Post. Bryk left behind an eerie posthumous message on her Twitter account marking the end of her life. Those were Rachel Bryk’s last words, posted in a posthumous Twitter message to 222 followers at midnight Thursday. Eight hours earlier, the transgender 23-year-old had walked west along the George Washington Bridge connecting upper Manhattan to New Jersey. Drivers stuck in rush hour traffic saw a slight figure with bright pink hair stop midway along the bridge. Bryk took off her shoes. Then she climbed over the guardrail and jumped. In the weeks before her suicide, Bryk, a respected game developer, had complained of “constant transphobia” on the Internet. In online chat rooms, anonymous trolls goaded Bryk to kill herself. “DO IT, if you’re such a weak willed thin skinned dips— then f— do it,” wrote one heckler.